Yield Curve Flattens, Should We Care? The yield curve has flattened in recent months: Short-term yields have risen; long-term yields have drifted lower. We should. When the yield curve flattens, or inverts, a recession has usually loomed. The yield curve has predicted all U.S. recessions except one since 1950. The yield curve, though still normal (upward sloping), is the flattest in a decade. The last time the yield curve was this flat, an 18-month recession ensued. A flattening yield curve can indicate that market participants are worried about the macroeconomic outlook. They anticipate a slowing economy, which would prompt the Federal Reserve to lower interest rates and provide more liquidity. Market participants sell short-term maturities and go to long-term maturities because long-term debt prices will rise more on a lower-rate trend. The Fed simply raising the federal funds rate is another. This reason we know. The Fed has been raising the fed funds rate. It’s likely to raise it again next month. The Fed raising the fed funds rate, a short-term rate, could constrict credit growth. Rising short-term rates coupled with falling (or even steady) long-term rates could strangle credit growth. Lenders prefer a steeper yield curve because they earn a greater spread on the price paid for funds and the interest earned lending those funds long term. So, does this mean the good times will soon end? Not, necessarily. This time is different. Then again, this time is always different. A flatter yield could be the new normal. Few market participants before 2008 would have expected the Fed to hold the fed funds rate at close to zero, which it did for six years. That was an unprecedented new normal. Asset prices re-inflated while consumer-price inflation remained remarkably muted. The flattening yield curve also could be nothing more than a supply-demand reaction. The U.S. Treasury Department has said it wants to shift the focus to short-term debt. It wants to issue more bills and 2-year and 5-year notes and fewer long-term notes and bonds. More supply on the short-end requires higher yields to draw more demand. Our take is that things don’t feel “recessiony,” as unscientific as that explanation is. We still have low inflation, solid corporate earnings growth, persistent employment growth (with low wage inflation), and a lot of folks worried about the flattening yield (a good thing). We see business as usual. Business as usual includes mortgage rates holding a tight range through the remainder of the year, with the range possibly holding into 2018. The range has held 3.875% to 4.125% on a prime 30-year loan. We expect more of the same. Important. Look for an uptick in monthly sales, with growth driven by the recovering hurricane states. Moderately Important. Always erratic week to week, purchase activity trends higher year over year, as it has since 2015. Moderately Important. The positive outlook on employment and wage growth bodes well for the housing outlook. More details have been released on President Trump’s tax reform plans presented to Congress. A few could impact our business directly. We have the good: The mortgage-interest rate deduction remains, though it has been capped at $500,000. People will still be allowed to deduct state taxes and local property taxes, though it has been capped at $10,000. An incentive to itemize remains. We also have the bad, at least from the NAR’s and NAHB’s perspective: The standard deduction is nearly doubled for individual and married couples. Relatively speaking, the mortgage-interest rate deduction loses value. 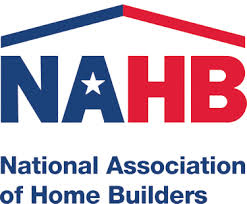 The NAHB also failed to get the home-buyer tax credit it sought. We remain sanguine. No one knows what tax reform will emerge once Trump’s plan is run through the sausage grinder. Congress could accept some, none, or all of the plan (though “all” is unlikely). Let’s keep in mind, too, that housing is an influential constituency with considerable lobbying muscle. And if everything goes the other way? We’ll survive. Yes, people act on tax benefits. They’re more likely to act on psychic and economic benefits. An owner-occupied home provides both psychic and economic benefits that are independent of tax benefits.